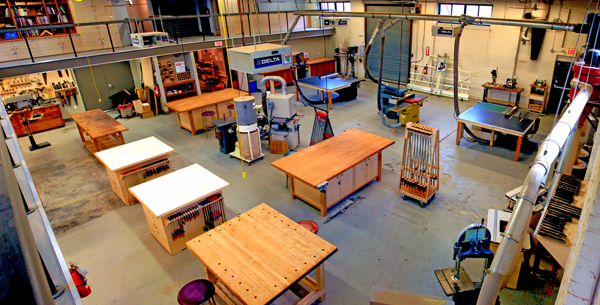 Our 8,000 square foot facility has over 6,600 square feet of woodshop space in addition to a hardwood lumber yard, a TV lounge, a members kitchen and an art gallery. 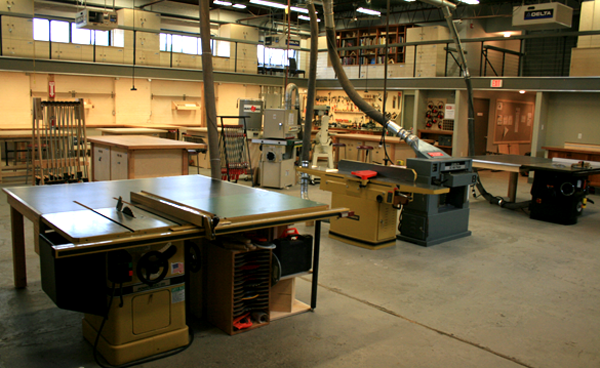 The shop enjoys a full complement of pro-grade tools, plenty of bench space, heat and A/C, free Wifi, high ceilings and three walls of windows that pour in natural light! We are conveniently located in Manayunk with private off-street parking, just 2 min from Main Street and 76 and directly across the street from the Ivy Ridge SEPTA stop. If you know how to build – come build; if you want to learn – we’ll teach you! We have 16 lathes in our shop including two full sized lathes and multitude of “midi” lathes. Our lathes range from 12″ to 16″ swings. 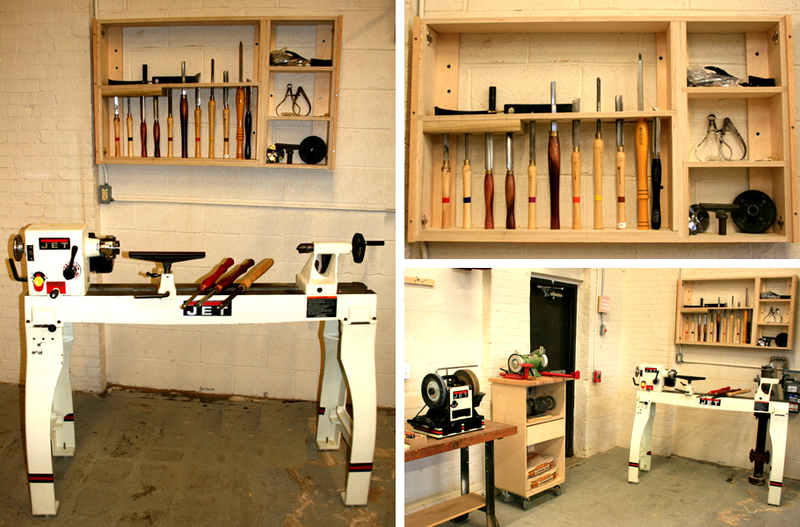 A full cabinet of turning tools and accessories is available for members to enjoy!